This fabulous recipe has been a popular one here on the blog ever since we first published it way back in 2012. One of our wonderful readers Julie Nowakowski sent it to us, we put it on the blog and even though it didn’t have a recipe photo a lot of people really loved the recipe. So we thought it was time for us to pass the recipe on to our assistant Emilee and have her cook the recipe and take proper photographs of the finished dish for you all. The recipe does require a bit of stove-top cooking because you have to brown the ground beef and bacon. But once that is done everything else is just dumped in the slow cooker and cooked for hours to help the flavors all meld together into a delicious dish to take to your next party or get-together! 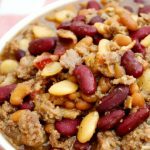 Ground beef and bacon are cooked on the stove-top and then added to the slow cooker with a variety of beans and seasonings for a great side dish that serves a crowd. Perfect for your next party! Cook the ground beef and bacon on the stove-top and drain off any excess fat. 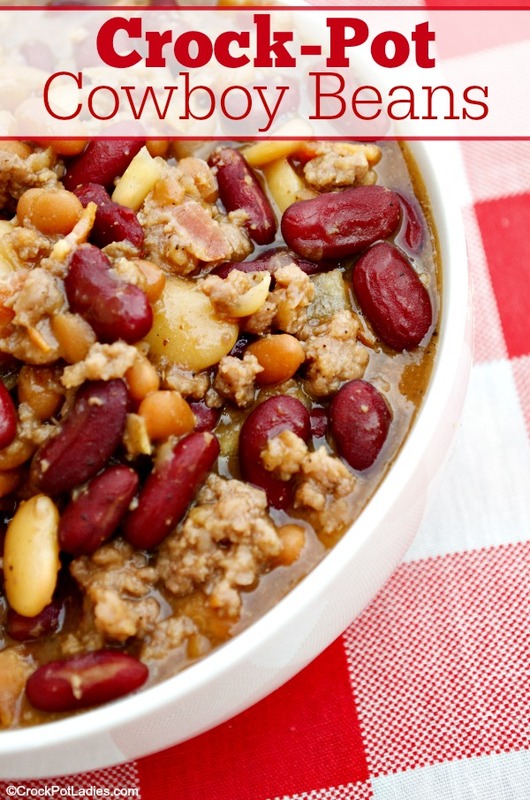 Add the meat and all of the remaining ingredients to a 6 quart or larger slow cooker. Is 2 cups of sugar correct? I put in a can of chili beans also! Omg-this is my recipe! So fun to open your email and find your recipe! I don’t usually take pictures of my recipes-but this is what the finished product does look like. 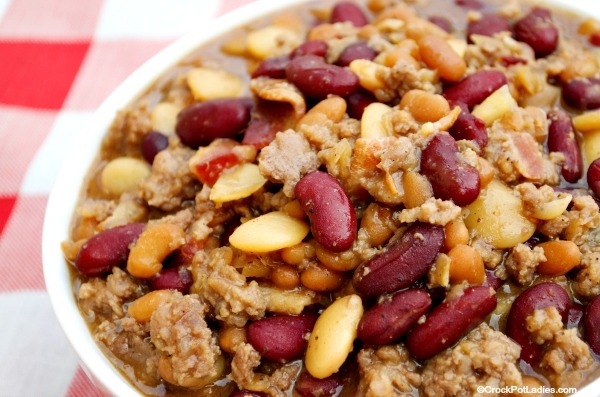 This is a yummy go to recipe for family gatherings. My kids even ask for it just as a meal. Enjoy everyone! Thank you SO MUCH Julie for sharing your recipe with us. Everyone who tries it LOVES it! Nutrition info is missing the serving size. 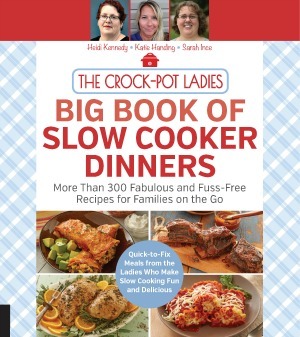 One twenty-fifth of a crock pot isn’t easy to determine when scooping it out.